The 50 most influential gadgets of all time, Apple suffers an intellectual blow in China, how a 10-year-old discovered an Instagram bug, Giphy launches a GIF keyboard, and the longest hoverboard ride ever recorded, probably. Time has named The 50 Most Influential Gadgets of All Time, and the list covers everything from Google Glass to the iPhone. These are, according to Time, the gadgets that “changed the course of technology for good”. Some are the first of their kind, while others brought existing ideas into the mainstream; a skill Apple is particularly good at. The number one is sure to be a controversial choice, as most people either love or hate Apple, its products, and its business model. However, the influence the iPhone has had on the world is surely not in question. It may not have been the first smartphone, but it was the one which set the standard by which all future smartphones 6 Technologies That Will Change How You Use Your Smartphone 6 Technologies That Will Change How You Use Your Smartphone What will our phones look like in five years? Let's talk about the exciting technologies that could change the way we use our phones in the near future. Read More have been judged. Apple also has two other gadgets in the Top 10, namely the Macintosh and iPod. Like the iPhone, these weren’t the first of their kind, but they made good on a concept’s promise, bringing new technologies into the mainstream. So perhaps the innovation argument Chrome Overtakes Internet Explorer, Solving Windows God Mode Malware... [Tech News Digest] Chrome Overtakes Internet Explorer, Solving Windows God Mode Malware... [Tech News Digest] Chrome is the most popular Web browser, Windows God Mode gets hit with malware, Apple thinks you'll be upgrading soon, Google Keyboard gets a major update, and Apple Watch is improved immeasurably by Windows 95. Read More currently harming Apple’s bottom line shouldn’t be given too much credence. Apple has lost the exclusive rights to the iPhone name in China, with a firm selling leather goods also granted permission to use the name. As reported by BBC News, the Beijing Municipal High People’s Court ruled in favor of Xintong Tiandi Technology, which makes handbags and mobile phone cases, amongst other things. Xintong Tiandi applied for the “IPHONE” trademark for leather goods in 2007, and it was granted in 2010. Apple applied for the same trademark for electronic goods in 2002, but it wasn’t granted until 2013. 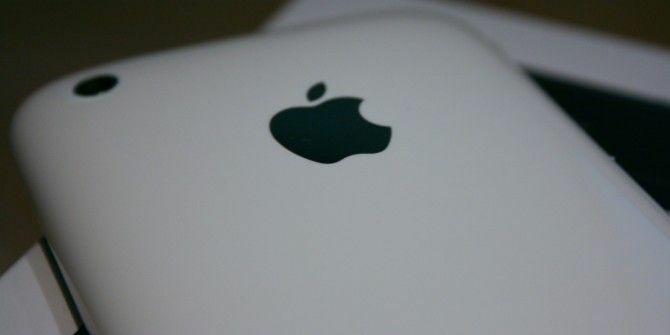 The court claimed Apple couldn’t prove it was a well-known brand in China in 2007, and indeed the iPhone didn’t go on sale there until 2009. This further weakens Apple’s prospects in China, with falling sales having already contributed to Apple’s recent disappointing financial results. Apple sees China as its second most-important market Is Apple Betting Big on The Chinese Market? Is Apple Betting Big on The Chinese Market? The $10,000 Apple Watch makes no sense...if you're ignoring China. Apple isn't ignoring China. Read More after North America, so any further issues are sure to have a knock-on effect. The new instagram interface update wants people to go blind when they browse at night. A 10-year-old boy has discovered a bug in Instagram, and been awarded $10,000 for informing the company. Jani, from Helsinki in Finland, decided to test Instagram’s comments section, inserting harmful code enabling him to delete any and all comments on everyone’s accounts. Jani immediately emailed Instagram, which then fixed the vulnerability. And as part of Facebook’s bug bounty program Facebook Will Pay You $500 If You Do This One Thing Facebook Will Pay You $500 If You Do This One Thing Facebook has paid out hundreds of thousands of dollars to regular users for doing one simple thing. Read More , Jani received $10,000 for his geeky detective skills. Proof if proof were needed that the younger generations have an innate ability to understand technology. Giphy has launched a GIF keyboard called Giphy Keys. This is an iOS keyboard for your iPhone or iPad which puts all of the GIFs in Giphy’s extensive library at your fingertips. This makes it much easier to drop a GIF randomly into a conversation. If this was just GIFs, GIFs, and more GIFs GIFs, The Language Of The Web: Their History, Culture, and Future GIFs, The Language Of The Web: Their History, Culture, and Future Everything you ever wanted to know about the history of GIFs, how they've evolved, and their cultural impact and significance. Read More it would be pretty useless, but thankfully Giphy Keys includes a regular ol’ keyboard (with letters and everything!). So, you can type most things normally, but then paste GIFs in as and when you see fit without needing to open another app. You can download Giphy Keys for iOS [No Longer Available] for free right now, with an Android version sure to follow. Is This a New Hoverboard World Record? And finally, Franky Zapata claims to have broken the world record for the longest distance traveled on a flying hoverboard. Zapata reportedly achieved the feat using the Flyboard Air he and his company unveiled in April Facebook Brings Bots to Messenger, HTC Launches the HTC 10... [Tech News Digest] Facebook Brings Bots to Messenger, HTC Launches the HTC 10... [Tech News Digest] Facebook wants you to message bots, an introduction to the HTC 10, Microsoft makes the Blue Screen of Death useful, Periscope lets you doodle on your live streams, and the Flyboard Air flies through the... Read More , and has released video footage to prove it. Even Guinness is convinced. Unfortunately for Zapata, the Internet is full of cynics, and people still aren’t buying the veracity of the story. Still, Zapata claims to have flown 2,252 meters, which would, if true, completely obliterate the old record. So why do I and many others still have lingering doubts about this whole thing? Do you agree with Time’s list of the most influential gadgets? What do you think of Apple losing the iPhone trademark in China? What’s your reaction to a 10-year-old having hacked Instagram? Will you be installing Giphy Keys on your iPhone? Do you believe that hoverboard footage is real and untouched? Apple might be powerful, but China tends to look out for its own companies above American companies. We Know The World Is Coming To An End, When A Powerful Corporation Can Not Corrupt...I Mean...Lobby The Courts In CHINA, Of All Places.